André Lichnerowicz had a Polish name through his paternal grandfather who had fled from Poland to France in 1860. At this time Poland was partitioned and he had been involved in the nationalist movement opposing Prussian rule. In France he married a woman from the Auvergne and their two children Jean Lichnerowicz, the father of André the subject of this biography, and his sister Jeanne Lichnerowicz achieved much. Jeanne became a well-known literary figure and achieved fame particularly through her translations of William Butler Yeats. Jean Lichnerowicz, André's father, received the agrégation in classics and went on to achieve fame in the literary world, becoming a professor of literature. Although Jean Lichnerowicz was an expert in the arts, he had quite an interest in mathematics which he had studied for his own enjoyment. André's mother had received her university education at the École Normale Supérieure de Jeunes Filles at Sèvres just outside Paris. She was awarded the agrégation in mathematics, being one of the first women to obtain this qualification, and went on to become a mathematics teacher. André, his parents' only son, was brought up in a home where learning and culture played a huge role. Conversations ranged from the ancient world to the modern world, and from ancient languages to modern languages. Science, in particular mathematics and physics, were given an equal standing and the young boy discussed mathematics frequently with his mother, but often too with his father who, as we noted above, had a love of the subject. At meal times, mathematics was often the topic of conversation around the table. I had very bad health, but this had its good side too. I was able to get into the habit of working and thinking alone, with the encouragement of my parents of course. One of these diseases was severe scarlet fever that left me completely deaf for a few years, two or three years. I remained completely deaf in one ear. Once he was in secondary school, however, he knew that mathematics was the subject that he wanted to study more than any other. In every year he topped his class in mathematics. Perhaps at this point we should note that Lichnerowicz was known as André to his friends, but as Lichné to his students. However, for the rest of this biography we will refer to him as Lichnerowicz. ... is devoted mainly to the discussion of two propositions concerning differential geometry in the large, the truth of which is held to be of fundamental importance for the relativistic theory of gravitation. ... Chapter I (Axiomatique de la théorie de la gravitation Ⓣ) [gives] relevant results on the initial value problem associated with the field equations of general relativity; most important for the sequel are those which deal with the continuation of an "interior field," in a region containing matter, across a boundary into an "exterior field" in regions free of matter. Chapter II (Espaces-temps extérieurs réguliers partout Ⓣ) deals with the simpler of the two fundamental propositions, according to which every such field must of necessity be Euclidean, subject to hypotheses concerning its asymptotic behaviour at large distances. ... Chapter III (Sur les singularités du champ extérieur Ⓣ) ... discusses the more difficult proposition: The introduction of matter into a given exterior field can only be accomplished in regions in which this field admits singularities. This he establishes, for fields of the types considered in the preceding chapter, with the aid of a further hypothesis concerning the quasistationary flow of the matter involved. World War II had begun on 1 September 1939 when German forces entered Poland. On the following day, Britain, France and several other countries, declared war on Germany but over the following months France was not involved in any fighting, but spent time trying to build defences to protect the country from an invasion by Germany. In September 1939, as part of these preparations, the inhabitants of Strasbourg had been evacuated and the University of Strasbourg was displaced to Clermont-Ferrand. The war changed dramatically for France on 10 May 1940 when the German army crossed the Dutch and Belgium borders and, by June, France had surrendered and fighting had ended. However, the Germans regarded the university in Clermont-Ferrand as their particular enemy, because of the history of French and German periods of the University of Strasbourg from the time of the Franco-Prussian war in 1870. Lichnerowicz was appointed as an assistant lecturer in mechanics at the University of Strasbourg, by then located in Clermont-Ferrand, in 1941. One day Lichnerowicz contrived to be in a police station and, while an officer was inattentive, he managed to borrow a stamp and apply it to a false identity card which he, himself, did not need, but which could save the life of a colleague or a student. To survive the war years in France with some honour was itself a great achievement. There was a question that I began to think about when I was very young, it was in 1939. With the German occupation, very few scientific papers were available; I realized that if one wanted relativity to work well, there was a fundamental question which arose. But in 1944, during the occupation, Einstein who was at Princeton and Pauli who was with him, had published a paper on the same question which gave results different from mine. They were not even comparable since they were deduced under two different assumptions, yet they gave the same conclusion that did not satisfy us. I corresponded with Einstein and Pauli at that time. Neither what I had done before, nor what they had done, satisfied all three of us. Then, in 1945, during a very cold winter, with little means of heating (I was a professor at Strasbourg at this time) suddenly one Sunday, I said: "Well, it will work like that." And I verified it. And in two hours, a problem that had troubled me, and had troubled much greater minds than mine, since 1939 has been resolved, and that was complete satisfaction. While intended for physicists, this book is an extremely valuable introduction to linear mathematics for students of pure mathematics. The treatment is systematic and rigorous. It is divided into two parts, devoted to algebra and analysis, respectively. The first part treats linear equations, determinants and matrices, Hermitian forms, characteristic roots and resolvents, and tensor algebra. The second surveys the theory of exterior differential forms, the general form of Stokes's theorem and its specialization to two and three dimensions, orthogonal series, Fourier integrals, bounded linear operators in Hilbert space, and the classical theory of integral equations for L2 integrable kernels. The book succeeds admirably in its intention of making more modern mathematics accessible to physicists. It covers a great deal of territory, and does so clearly and rigorously. ... this is a valuable book for any physicist or young mathematician. ... that general relativity, now nearly forty years old, has passed from theoretical into mathematical physics and should be treated with mathematical rigour like the theory of potential. In this spirit he presents relativity axiomatically, with much more attention to mathematical precision than has been customary and much less attention to its physical aspects. Two years later he published Théories relativistes de la gravitation et de l'électromagnétisme. Relativité générale et théories unitaires Ⓣ which gives a rigorous mathematical treatment of more advanced topics in general relativity. In 1957 he published an important text on differential geometry, Théorie globale des connexions et des groupes d'holonomie Ⓣ. In the following year Géométrie des groupes de transformations Ⓣ appeared giving, in book form, the latest developments on transformation groups leaving differential-geometric objects invariant. We have already said a little about Lichnerowicz's work on Einstein's theory of general relativity. He did important work on Riemannian geometry, in particular his results on the equivalence of various definitions of a Kähler manifold are now part of the standard theory. He put the theory of spinors into a rigorous setting and produced many important results in this area throughout his career. In 1964 he posed a famous conjecture on differential geometry in his paper Sur les transformations conformes d'une variété riemannienne compacte Ⓣ. 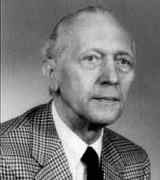 In the 1970s he worked on the geometric theory of dynamical systems writing papers such as Variétés symplectiques, variétés canoniques et systèmes dynamiques Ⓣ (1976). In the late 1970s and the 1980s he worked on infinite dimensional Lie algebras writing important papers such as Les variétés de Poisson et leurs algèbres de Lie associées Ⓣ (1977), Les variétés de Jacobi et leurs algèbres de Lie associées Ⓣ (1978) and (with F Guédira) Géométrie des algèbres de Lie de Kirillov Ⓣ (1984). He made a selection of his own papers which he published as the book Choix d'Ïuvres mathématique Ⓣ (1982). The papers are divided into three sections: relativity theory, differential geometry, and infinite-dimensional Lie algebras. ... you ask yourself a question, you worry about a problem. You start to work in an obvious way at a table with a piece of paper, but not for very long. The goal is out - more often the problem is a pretext - the goal is to find a method from it or to create mathematical entities which will shine in the network of mathematical knowledge. For a long time then you apparently do not work, but you are working all the time. That is to say, you laboriously end up by reaching a kind of trance which lasts three weeks, a month, when you think almost all the time about the same question and your thinking is not all the logical, that come later. You have acquired a kind of state, a mathematical universe, a state of direct understanding and you play with it indefinitely ... while you're walking, getting on a bus, etc. ... and that's the part that takes the longest. And then, at some point something clicks and you feel, before having any proof, you have made a major advance and then you return to your desk, you check and finally expose the things you have discovered to precise logic. But this is not the most essential part of the work - the most essential part of the work, both in time and in quality, is spent between both and usually without writing. Lichnerowicz made important contributions to mathematics other than research. For example he was president of the French Mathematical Society (1959-60), served on the Committee for Scientific Research and Technological Progress (1959-63), chaired the Commission for the Reform of mathematics teaching in France (1966-73), and chaired the Committee for the investigation of computer research (1973-76). André Lichnerowicz was an immensely cultured man, interested throughout his life in the most varied problems, scientific or philosophical, and in their impact on the world in which we live. His mind was brilliant, clear, rapid, and tirelessly active. A great intellectual, Lichnerowicz was also very human. He had a strong desire to communicate his ideas and a sure loyalty to his friends. Lichnerowicz considered himself responsible for everyone who had been his student, and he had many of them. He carried for them unfailing support, particularly when they had difficulties in their professional or private lives. When Lichnerowicz was elected to the Académie des Sciences de Paris ... his students, as was customary, collected money to offer him his Academician's sword. (The sword is the only part of the Academician's very elaborate uniform that reflects his or her personality and accomplishments.) But two years later, for his fiftieth birthday, they contributed nearly as much to offer him something more to his taste, ... a pipe! Indeed we could not imagine him without his pipe at any time ... except during his lectures when he would fill the blackboard with equations in his dense handwriting, equations almost always comprising many tensorial indices. It is a fact that he can be seen in every photograph ... with his pipe. With his wife Susa, who was born in Peru and taught Spanish in a Paris high school for many years, he formed an extremely interesting blend of different sensitivities. The two of them were sharp, remarkably cultivated, and open to many cultures. Nothing would escape their vigilance. An after-conference dinner with the Lichnerowicz couple (she often accompanied him on his scientific trips) was surely an enriching experience. André's knowledge of French history, literature and geography, of French food and wines paralleled his deep learning in mathematics, and he could entertain his neighbours at the table on any subject. A mathematician is first of all an artisan learning by throwing himself against his own spirit, a necessary humility. He dreams and is a bit of an artist ... I believe that if my neurophysiologist colleagues took electroencephalograms of mathematicians, they would discover no difference between those of a working mathematician and a composer of music. ... mathematics carries a form of witness of all that the spirit of humans have in common, since mathematics does not depend on a civilisation or a culture.